It's time again to scout around outside and fill a vase to share with other enthusiasts. For creative and colourful vases visit Cathy at Rambling in the garden for In a Vase on Monday. Is it possible to have a favourite flower? It is like asking which is your favourite child. One week you'd say one child flower but then the next week something else is in bloom and that is your favourite. 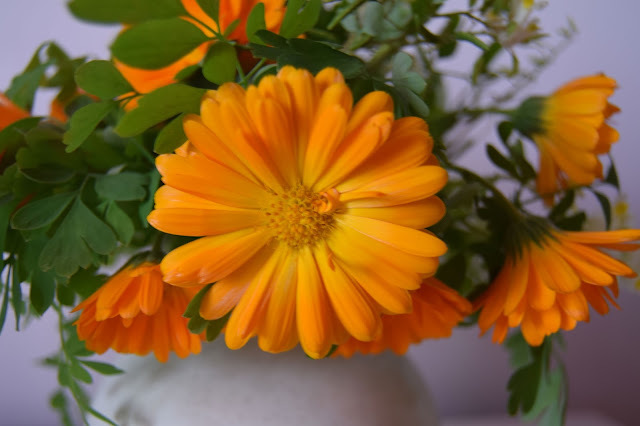 Orange Calendula. The petals are shimmery and luminous and so vivid. I had them popping up all over my last garden and I've introduced them here, They are starting to seed around. They are in this vase with Corydalis ochroleuca (I think) which is a little plant with cream flowers. I bought one from Hestercombe and it is now seeding around as well as flowering for most of the year. My vases are getting smaller but I'm still finding colourful things to fill them. Would you dare to choose a favourite flower? I love your sentiment regarding which flower you love the best, which I am sure many gardeners share. 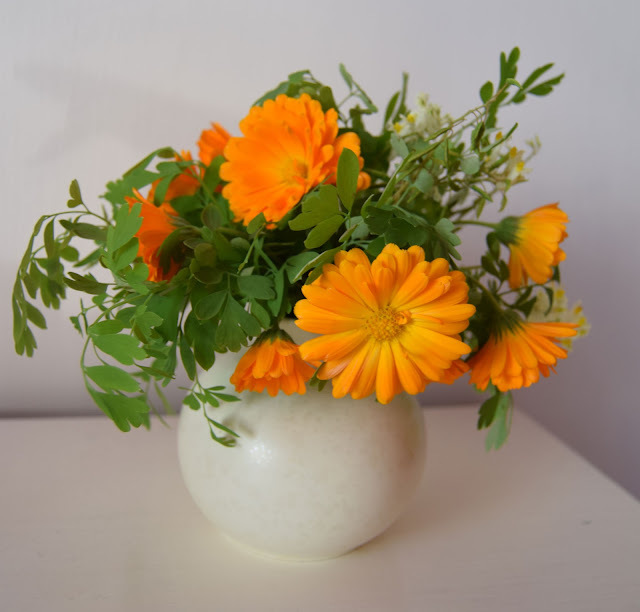 You have married up the calendula with the most lovely of foliages, and the vase too is just the right one, allowing the flowers to take center stage. Thank you. It's really pretty vase, one of a pair which I've had for years. I love Calendulas too, although they're prone to mildew here so I seldom grow them. The ones that worked the best for me grew from seeds, 2 or 3 years AFTER I planted them. The raccoons dug up the area in which I'd sown the seed so I gave up on their ever making an appearance but, when our winter rain came back in earnest, the plants finally appeared and bloomed. It was one of those little miracles. My sentimental favorite flower is the viola but, like you, my current favorite varies from one week to another. Barleria obtusa, the bush violet, is high on my list this week. Yes they are rather prone to mildew but they seed so happily here that the worst ones can be pulled out. Seeds are amazing! You must have been so excited to see them after all that time. Yes, violas are lovely. I have some little plants which just pop up and flower and flower so happily. It is very appealing! I couldn't possibly choose just one favourite flower though. As you say, it changes daily! That colour looks lovely with the Corydalis - I have a similar one (Corydalis lutea) in my garden, but mine has stopped flowering now. This is very similar to Corydalis lutea and behaves in a similar way. Marigolds come in such a gorgeous range of colours these days, but you can't beat this dazzling orange one. Mine seed around in unexpected places but they are always welcome. Absolutely. The mix and match too and you never know what you will get. Oh these calendula are so bright and cheery....I need to get this color and I hope to get more calendula to seed around too! Wonderful vase! They are always cheerful and welcome. Beautiful, bright and warm. Perfect for these cooler nights. I couldn't pick a favorite flower as it's usually whatever's in bloom at the time. 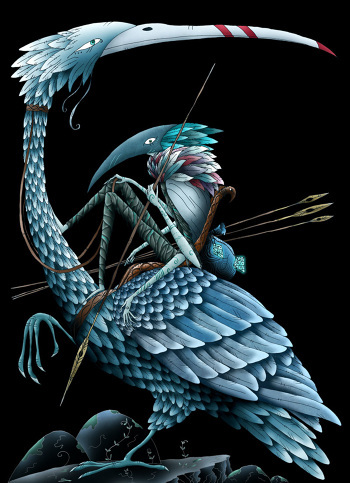 We are all so fickle and unfaithful. I do enjoy the sunniness of calendula and the pungent scent as well. Its petals dry well to add color to potpourri. It would be tough for me to pick a favorite flower, but peonies, lilacs and lily of the valley would be the finalists! I'm sure I had a recipe for calendula handcream but now I can't find it. Oh they are such cheery flowers Alison which take me back to childhood where there was always a patch in the garden. Your corydalis has such attractive foliage. I have corydalis lutea which appeared in the garden of its own accord. Snowdrops are my favourite flower. Ah, yes they are my favourites when they are in flower. So welcome in the midst of winter. 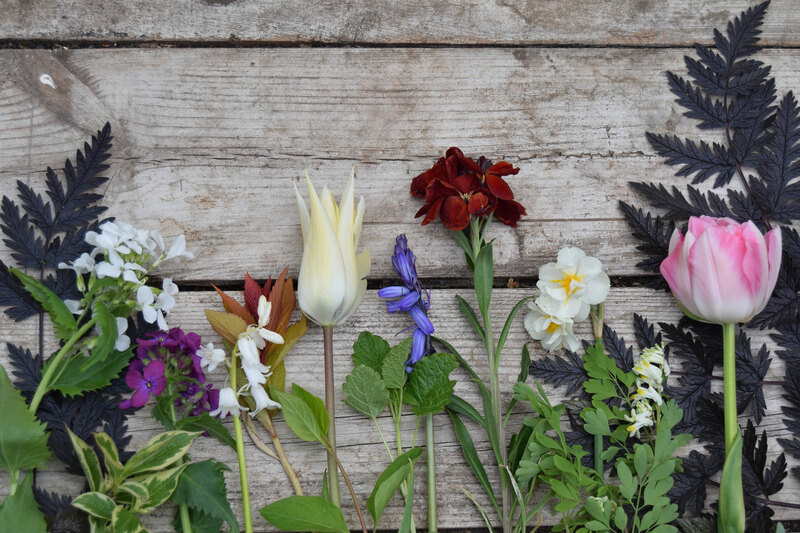 I couldn't possibly tell you what my favourite flower is; it changes with the seasons! One all time love is tulips and it will soon be time to plant mine!!! Your Calendular is a gloriously happy colour, not sure why I think of orange as being happy, but I do.